Yet another beautiful piece of art pottery from the Clifton Art pottery Company. 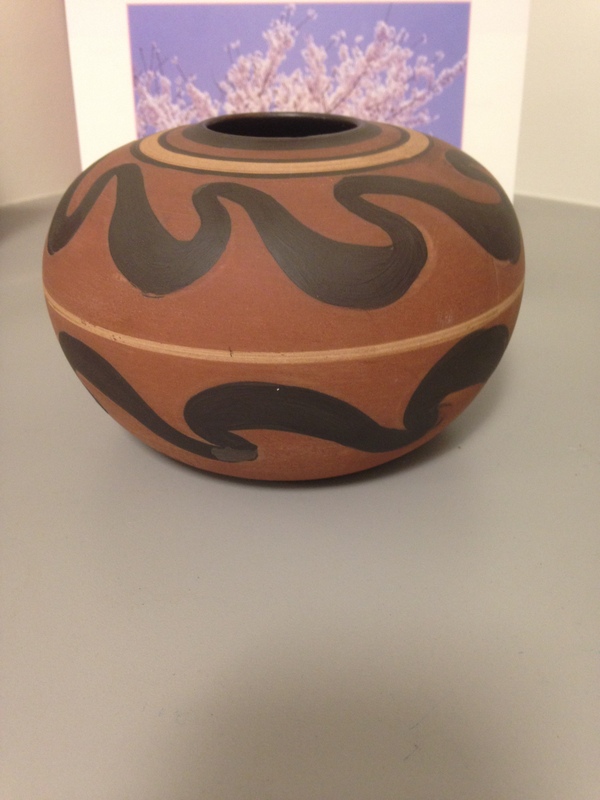 They made unglazed terracotta pottery , with Native American motifs, such as the one shown here, and a line of glazed items in the then popular Arts and Crafts style. I don’t have any of the Arts and Crafts style pottery in my collection. Please refer to my May 12, 2016 post for more information.